1Slice melon into 2 cm cubes and put them in a bowl together with chopped lettuce. 2Add grated Parmesan cheese, sliced black olives, pine nuts, sliced cured ham, mozzarella and season with extra virgin olive oil. If you don't like pine nuts, walnuts make a great replacement. Serve immediately. 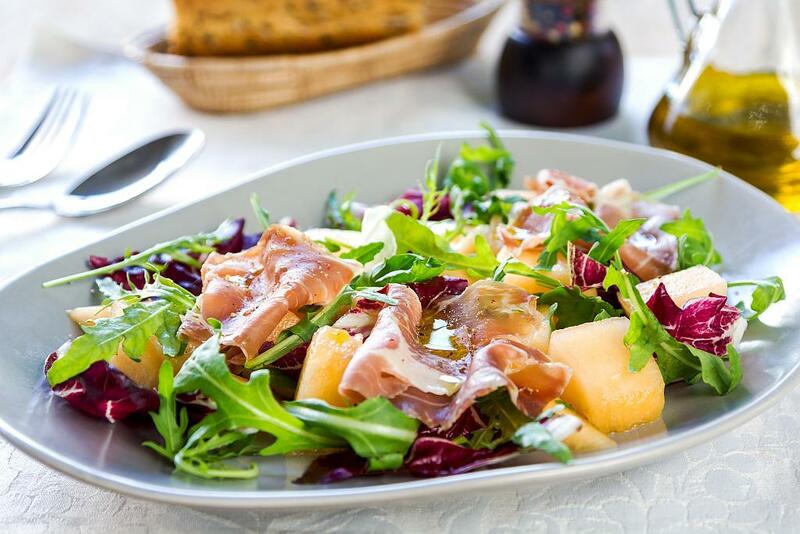 Melon salad is a delicious dish for hot summer days, easy to prepare and it is low in calories and high in nutrients.